AUSTIN, Texas -- Many golf legends grew up on the fairways and greens in Texas. But four significant figures not only altered golf worldwide, but also returned to the Lone Star state to make solid contributions in all areas of the game. The list includes three men that dazzled crowds with their brilliant play and one that will forever be remembered as one of the game's greatest teachers. Like his frequent competitive rival Byron Nelson, Ben Hogan had Texas blood running through his veins. It was the local events in the state that Hogan first entered, after dropping out of high school to turn pro in 1929. And like Nelson, he was one of the most consistent golfers in the history of the game. In his 292 career tournaments, Hogan finished in the top three nearly half of the time, while finishing in the top 10 in 83 percent of those starts. During a blazing stretch in 1948 and 1949, Hogan, only two years removed from duty in the U.S. Army, won 11 of 16 starts. But then tragedy struck. Hogan was involved in an automobile accident that left him bedridden. Doctors were unsure if he would walk again, much less grace a golf course with his beautiful swing. However, the Hawk would not be denied. Just 16 months after the accident, Hogan won his second U.S. Open in a Monday playoff. Hogan's final victory on the PGA Tour came in Texas at the Colonial Country Club in Forth Worth during the 1959 season. Continuing the trend, he played his last competitive round in Houston, at the Champions Golf Club in 1971, ending a career on the same soil that it began. Ben Crenshaw's past, present and future have all revolved around Texas. He learned the game of golf from his father at the Austin Country Club, eventually winning his first tournament as a fourth grader. He later enrolled at the University of Texas where he led the Longhorns to a national championship - collecting the individual title along the way - as a freshman. Although a profitable and victory-rich first decade of Crenshaw's professional career became marred by failure in major championships, he finally broke through in 1984 at the Masters. The man once heralded as the next Nicklaus earned his second green jacket 11 years later. Those two titles along with 17 other PGA Tour victories and his contributions to the game as a historian and architect helped earn him a spot in the Hall of Fame this year. Of course, Crenshaw's most recent moment in the sun came over a three-day period when a golf club never even touched his fingers. As captain of the 1999 Ryder Cup team, Crenshaw's strategy on the final day helped spark a remarkable comeback as the United States stole the title away from a disbelieving European squad. Crenshaw's work as a course architect, in collaboration with Bill Coore, has spanned the globe. However, his influence is most strongly felt in the Lone Star state, which he continues to call home after all of these years. 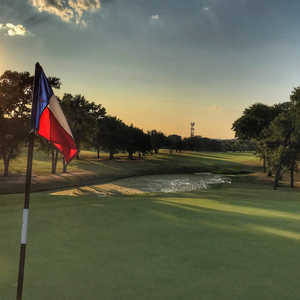 The duo designed well known courses such as the Cliffside at Barton Creek and the Austin Golf Club, as well as renovating and making additions to the Houston Country Club, Lakewood Country Club, Brook Hollow, Onion Creek, and the Sports Club at Las Colinas. Byron Nelson has been a fixture in the golf world since 1927 when he appeared in his first professional tournament. In the decades that have followed, Nelson has given back as much to the game as he taken, which based on his remarkable career is quite a lot. 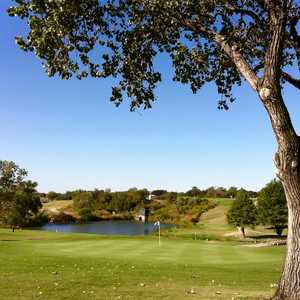 Nelson started playing golf at the Glen Garden Country Club in Fort Worth where he worked as a caddy with Ben Hogan. In a showdown similar to the battles the two rivals would partake in throughout their careers, Nelson defeated Hogan in a caddy tournament at the club, after a grueling nine-hole playoff. Although Nelson ranked fifth all time with 54 tour victories, including victories in three of the four major championships -- Nelson disliked boat travel and only played the British Open twice, a decision he now regrets -- the legend will be forever remembered for his striking consistency. His 1945 season will is by far the best season in golf history. Nelson won 18 times that year, including 11 tournaments in a row. The most recent attempt at cracking that mark came from Tiger Woods, who mustered six wins in a row. Nelson's other great achievement is one that Woods - who has known Nelson since he was a teenager - perhaps will break in 2003. Over a long stretch of seasons, Nelson managed to make 113 consecutive cuts. Woods' streak as of the end of the 2002 season sits at 96. Since retiring from professional golf in 1945, Nelson has worked as a broadcaster for CBS and brought a successful PGA Tour event home to Texas. Mostly due to his name and reputation, the Verizon Byron Nelson Classic repeatedly attracts the majority of the world's best players. Nelson sitting in a chair alongside his wife on the 18th green greeting the players has become a staple of the tour season, just as the 90-year-old Nelson has been in the golf world for all of these years. Like Crenshaw, Harvey Penick first learned the game of golf at the Austin Country Club, where he worked as a caddy. In the 82 years that followed, Penick changed the lives of golfers all over the country, helping him earn the distinction as on of golf history's greatest instructors. Penick worked as the head professional at the club where he started as a caddy for half a century and coached the University of Texas golf team for a staggering 32 years. Former pupils of the legend include Ben Crenshaw and Tom Kite. Penick continued to give occasionally lessons in Austin up until he died in 1995 at the age of 90. Even today, his contributions to the game live on. 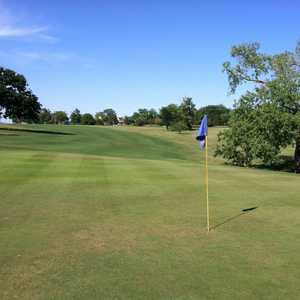 The Harvey Penick Golf Academy in Austin is consistently ranked one of the top schools in the country. Also, Penick's "Little Red Book," a collection of his golf tips and memories was a permanent fixture on the New York Times bestseller list. The larger than life instructor was in fact best known for his simple teaching principles. Penick was the only American in a charter group of four members inducted into the World Golf Teachers Hall of Fame.